I am a Dutch girl in Oz! I was born and raised in the Netherlands and have lived there for 26 years. In 2010 my partner and I decided it was time for a challenge and we literally packed our bags and moved to Australia. Now, many years later, we are still really enjoying the beautiful country and all it has to offer! Back in the Netherlands I completed my master’s degree in Architecture, Building and Planning. I have always had a passion for design and creativity and I have a great interest in many design disciplines. From architecture to interior design to making my own jewellery to of course; digital scrapbooking! I once started off with traditional scrapbooking. A friend showed me her scrapbook album and I immediately fell in love. I never thought of doing this with your own pictures and decorate your page with flowers, ribbons and so much more. That’s when I made my first scrapbook album. After a while I started digital scrapbooking because it is so convenient. You don’t make a mess, you can do it everywhere you like, but mostly because you don’t run out of supplies. 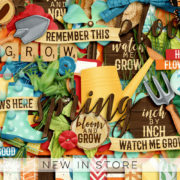 That beautiful paper you had or that amazing flower, with digital scrapbooking you can use them over and over again! 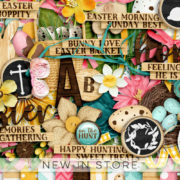 The amazing thing for me about digital scrapbooking is that there are endless possibilities and there seems to be no limit to what you can design. It is also great that you keep learning along the way and you keep improving yourself. That’s what makes it challenging! I love to see different shapes and colours coming together and transforming concepts into consistent and unique designs. 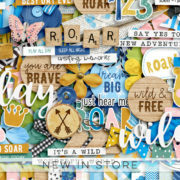 Working with themes is something I really enjoy and scrapbooking is great to do that. 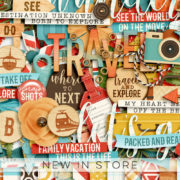 I am striving to design high quality beautiful digital scrapbooking products! My style is very versatile and eclectic and I love to mix hand-drawn themed elements with basics for great versatility. Thanks you so much for visiting and I hope you enjoy my work and that it inspires you to keep scrapping and make those beautiful layouts you and your friends and family can enjoy for many years to come! Hello, my name is Willemijne! Welcome to the Digital Scrapbook Ingredients website! 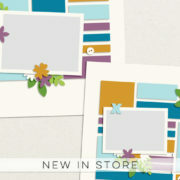 Designing scrapbooking supplies is my passion and I enjoy creating new things every single day! I love to see different shapes and colors coming together and transforming concepts into consistent and unique designs. I hope you enjoy my work and that it inspires you to make beautiful layouts and preserve those precious memories! Subscribe to the DSI newsletter!